How many ways are you using propane? Take a look and see some of the ways you can enjoy the power of efficient and versatile propane throughout the year—inside and outside your home. Gas dryers typically dry your clothes 25% faster than electric models while being gentler on fabrics. Why spend any more time than necessary doing laundry? A flip of the switch and enjoy realistic flames. Gas fireplaces can produce twice as much heat as wood ones at about a third of the cost, with no soot, ash or smoke. Gas ovens give you better temperature control and heat distribution than electric stoves. Many feature an automatic, electric ignition system, which saves propane. High-efficiency propane furnaces deliver all the warm air you need, no matter how cold it gets. Heated air from a furnace is much warmer than the temperatures of electric heat pumps. A tankless water heater eliminates the need to keep water sitting in a storage tank, wasting energy. What’s more, it’s almost impossible to run out of hot water, no matter how many showers, hot baths or laundry loads are running at the same time. Propane grills light instantly, heat faster than charcoal, and emit less carbon monoxide and soot. Higher-end grills offer drawers, side burners, surface lighting and LED temperature displays. Take the chill out of the night air with patio heaters and outdoor fireplaces, which can raise outdoor temperatures by as much as 30º. 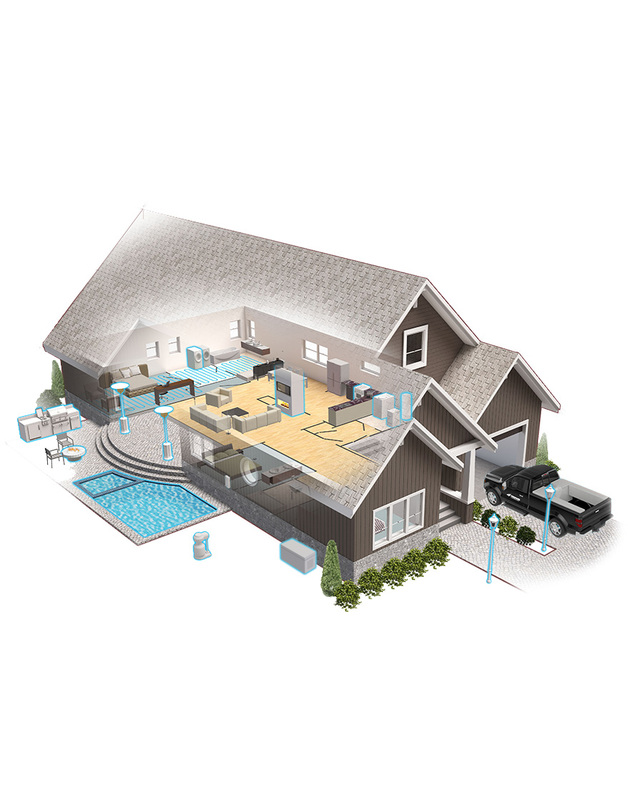 Whether you own a pool or a spa, a propane pool heater will warm the water faster and at less cost than electric. Propane is nice for lighting your home’s exterior. For example, tiki torches provide plenty of light and ambiance while eliminating the smell and residue created by oil-burning torches.